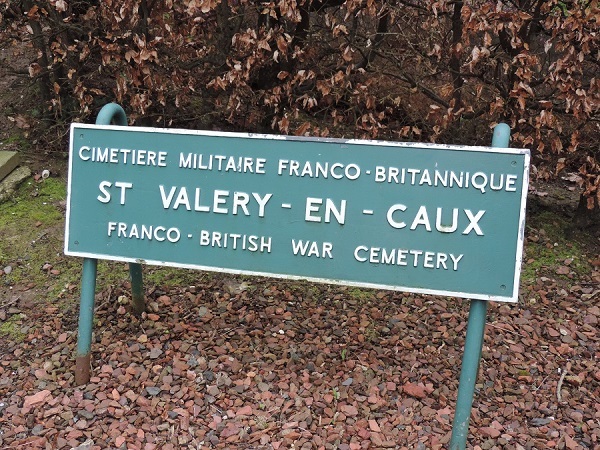 Located between the towns of Fécamp and Dieppe (76), the village of Saint Valéry en Caux shelters on its lands a magnificent little military cemetery attached to the civil cemetery of the commune. 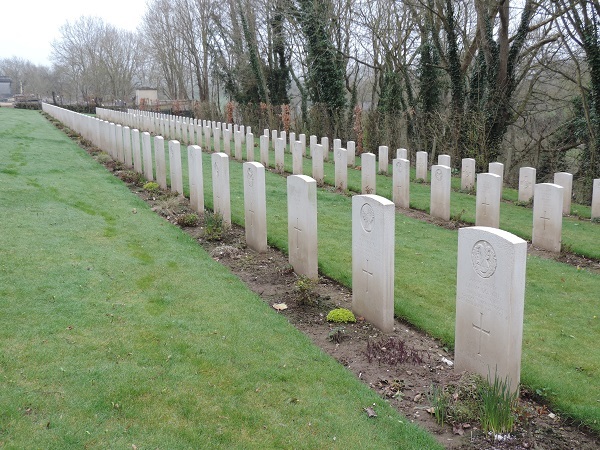 However, there are 218 young French sailors and soldiers, 206 young British soldiers and 28 British, Polish, New Zealand and even a South African pilots, resting on the slope of a peaceful and verdant hillside. 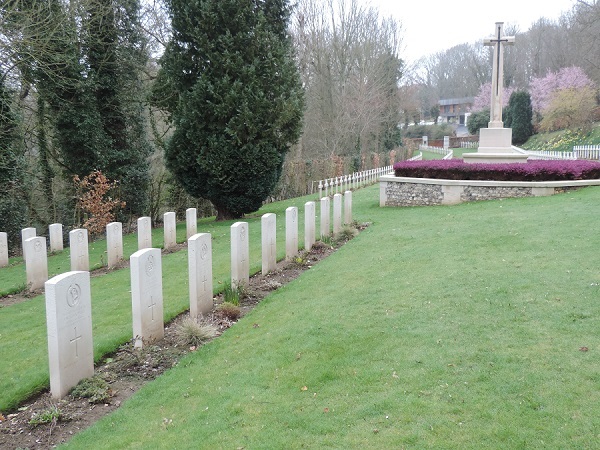 Built and maintained by the Commonwealth War Graves Commission, this cemetery does not attract crowds but heroes are buried there. 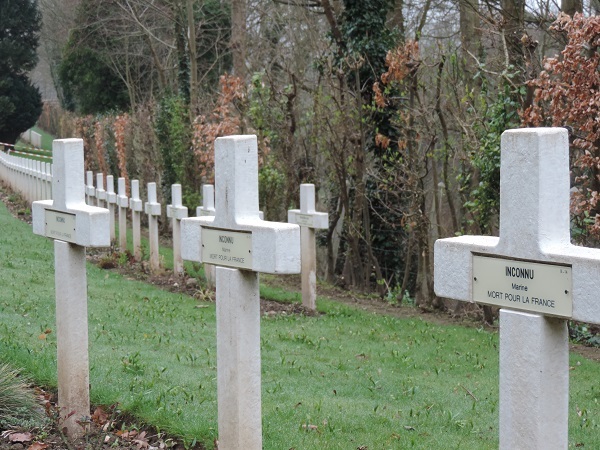 Unlike big military cemeteries of the Calvados coasts (14), most of the men who rest at the Franco-British cemetery in Saint Valéry en Caux did not fall during the Battle of Normandy. Indeed, although there is a tendency to believe that the campaign of 1940 was soon completed in eastern and northern France, it is worth recalling that on various pockets, in particular along the seas, the fighting continued to rally Great Britain and not fall into the hands of the enemy. 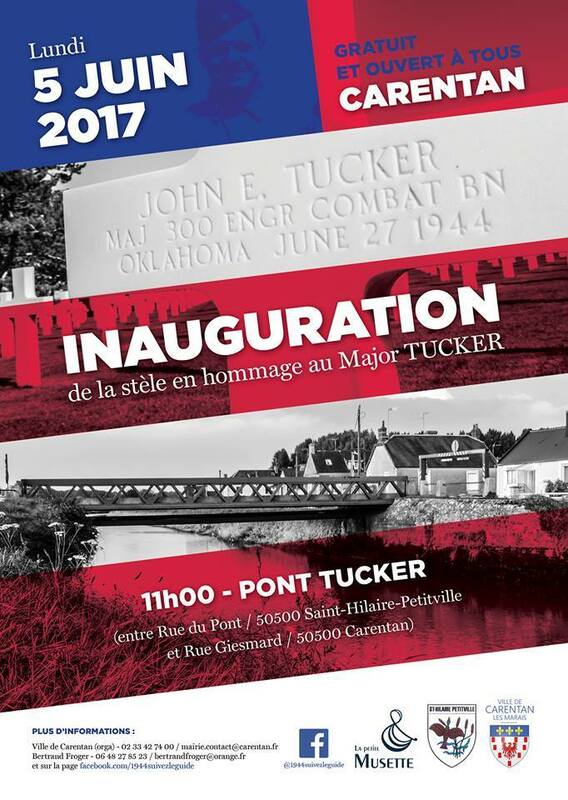 These young men did not die as heroes in 44, but 4 years before. Let us not forget them. 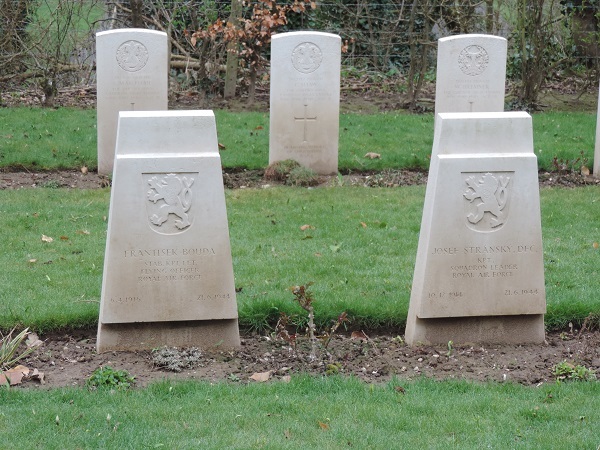 My father was killed June 8th 1940 and rests in grave A 37. Hope my children get a chance to visit there sometime. 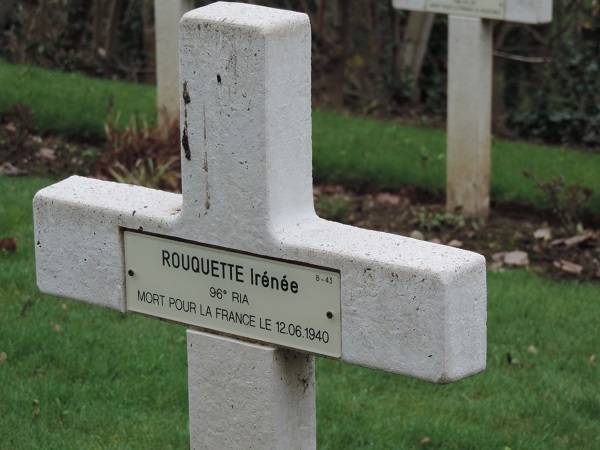 Also my grandfather was killed at the Somme and is not too far away from his son.